I would like to share a couple of local recommendations for the tradespeople that helped bring my new kitchen into fruition. The biggest part of the job was completed by Darren Sproston of DS Joinery. He assembled and fitted all of our units, and I am in awe of how he managed such a feat when we took delivery of a pile of boxes, fixings and bits of wood on the appointed date. There was no way my husband and I could have sorted through all of that. We are not exactly DIY-minded, put it that way! Anyway, after searching for someone local that could do the job for us, I found DS Joinery and booked him in. Darren was very flexible with the job, he worked well in a confined space (our house is rather small), and he was very accommodating to my children and dog when they kept ‘checking up’ on the work in progress. It’s the little touches that make the difference, I find, and DS Joinery is very much a family company that gets the job done properly, and for a reasonable price as well. I also had to call on a local electrician to help install my new cooker. For this job I used Rick Duffy from RD Electrics, based in Winsford. He came and installed a new motherboard for our electrics just last year, and again he worked very well around my children and dog, which is important. He was efficient, prompt, and very reliable. I will not hesitate to call on both DS Joinery, and RD Electrics, for any future jobs that need doing. Did you enjoy this article? Join my tribe to keep informed of new stories from SpookyMrsGreen, and I will send you a fabulous FREE book from my Redcliffe novels series. This entry was posted in advertising, british, catherine green, UK and tagged budget kitchen, DS Joinery Middlewich, family kitchen, kitchen fitter, My Kitchen Renovation Project, RD Electrics Winsford, renovating an old house, reviews for local business Cheshire, trade reviews, UK small business, UK trades people. Bookmark the permalink. Love the colour of the walls! 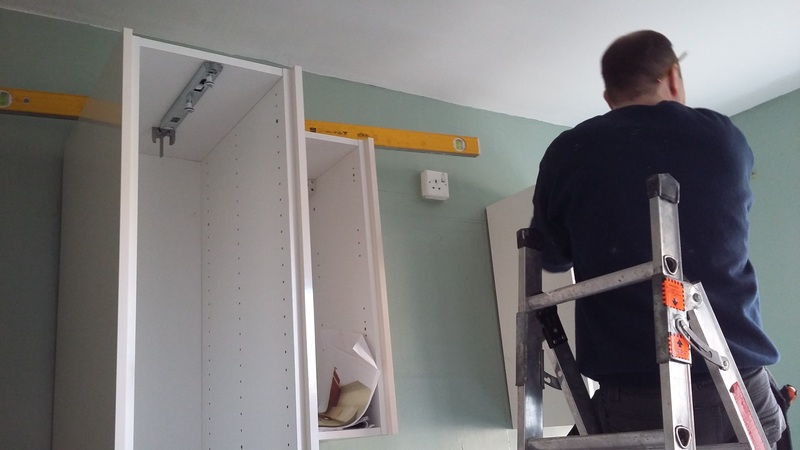 We’re just about to start our kitchen – such a massive and daunting job!